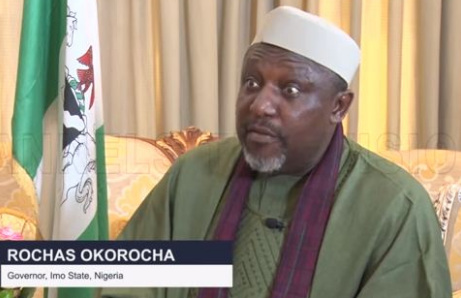 Imo State Governor Rochas Okorocha has asked a Federal High Court in Abuja to compel INEC to issue him with a Certificate of Return as the Senator-elect for Imo West, as declared. 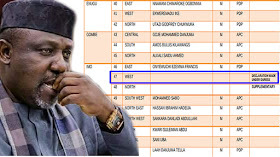 The Returning Officer, Prof Francis Ibeawuchi, declared Okorocha winner of the February 23 elections having polled 97,762 votes to beat Jones Onyereri of the Peoples Democratic Party (PDP) who scored 68,117 votes. INEC stopped Okorocha's Certificate after Ibeawuchi said he announced him under duress. A suit by Okorocha’s lawyer, Kehinde Ogunwumiju, wants the court to grant an order compelling INEC to issue him a Certificate of Return as the validly elected Senator for Imo West. Okorocha argued that having been declared winner of the election, INEC has no power to withhold his Certificate of Return. When the case came up yesterday, the court included Onyeriri and APGA candidate, Senator Osita Izunaso, as the second and third defendants. While Nwafor Orizu appeared for Senator Izunaso, Onyeriri was represented by Emeka Etiaba. Mrs. Wendy Kuku represented INEC. Justice Taiwo Taiwo directed the plaintiff to amend the originating processes to reflect the new parties in the suit. He also directed the defendants to file and serve their processes within 10 days, while Okorocha’s lawyer files and serve his response within three days. He then adjourned till April 5 for the hearing of all pending applications and the substantive suit.